Explore the wild Patagonian landscapes of the Torres del Paine National Park on this full-day tour from Puerto Natales. 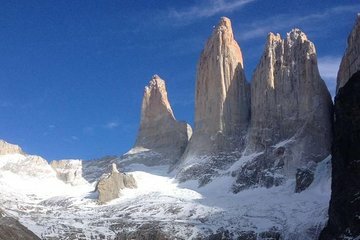 Challenge yourself to a thrilling hike through the mountains; enjoy magnificent views of Lake Nordenskjöld, Almirante Nieto Mountain, and the Valle del Ascencio; and trek around the mighty peaks of the Torres del Paine. This hike is best suited to experienced hikers.